Chinese legend tells of one Huang An, who prolonged his life for at least 10,000 years by eating mercury sulfide (the mineral Cinnabar). The First Emperor was said to have consumed wine and honey laden with Cinnabar thinking it would prolong his life. During the Warring States period, Mercury was a common ingredient of medicines being used to treat infected sores, scabies, ringworm and as a sedative for mania and insomnia. Mercury had many other uses, particularly in Alchemy, which has some of its oldest roots in China. In the west this art was commonly associated with attempts to make gold from other metals, and some Chinese Alchemists tried that too, for in 144 BC the Han Emperor Jingdi decreed that anyone caught trying to make counterfeit gold should be executed. But Chinese Alchemy was more oriented towards medicinal uses, in particular Elixirs of Immortality. Throughout antiquity Cinnabar was the source of all mercury metal. Mercury, either as Cinnabar or as the elemental metal, has been found in tombs dating back as far as the second millennium BC. Cinnabar (HgS) was widely used in ancient China for decoration, medicine and Alchemy. There is a lot of this mineral in China, particularly in the west. Shaanxi alone contains almost a fifth of all the cinnabar reserves in the country, and there are very ancient mines in Xunyang county in the south of the province that are a good candidate source of the mercury apparently in the First Emperor’s tomb. To extract Mercury from Cinnabar one need only roast it in air, converting the sulfur to sulfur dioxide while the mercury is released as vapor that can then be condensed. Since Mercury boils at 357°C, this process needs temperatures well within the capabilities of Qin era kilns. Of course, anyone trying this method in an unsealed container – closed chambers weren’t used until the Han period – risked serious harm. One of the most important uses of Mercury at this time has a particularly Alchemical tinge. Gold and Silver dissolve in Mercury to form amalgams, and such mixtures were used for gilt plating. The amalgam was rubbed on and heated to evaporate the mercury leaving behind a gleaming coat of precious metal. 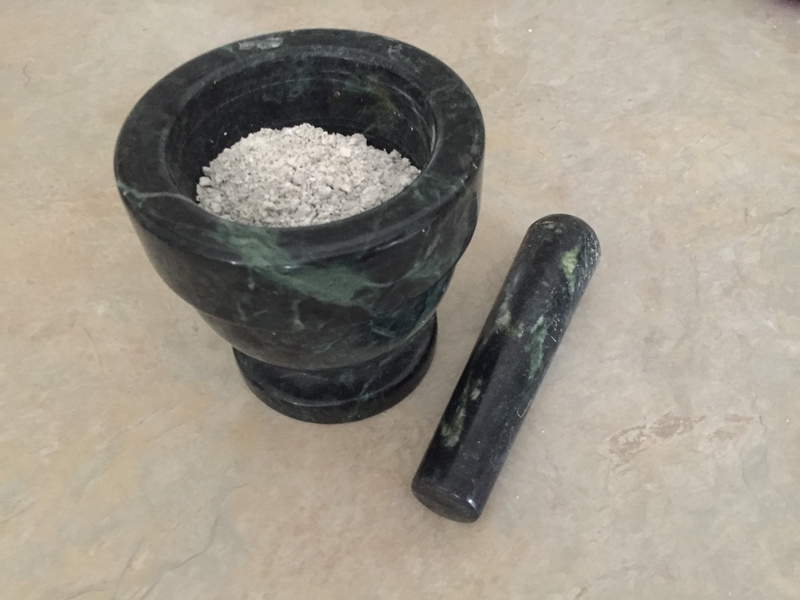 Such mixtures also featured in Alchemical Elixirs: the Taoist concept of Yin and Yang, the two fundamental and complementary principles of life, encouraged an idea that cold, watery (Yang) Mercury and bright, fiery (Yin) Gold might be blended in ideal proportions to sustain vitality. 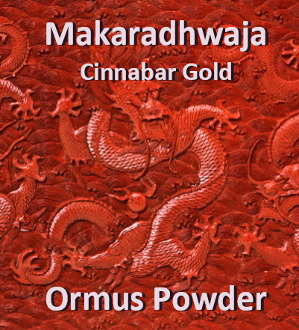 Makardhwaj Ras is an Ayurvedic medicine, with herbal and mineral ingredients, in powder / tablet form. It is used in Ayurvedic anti aging and aphrodisiac treatment. This medicine should only be taken strictly under medical supervision. It is used to improve strength of heart. It is used in anti ageing and aphrodisiac treatment. It helps to relieve fever, dyspepsia. Effect on Tridosha – Balance Vata, Pitta and Kapha. (125 mg)1 – 2 tablets once or twice a day before or after food or as directed by Ayurvedic doctor. It is traditionally administered along with Betel leaf, milk and honey.